There are many knowledge gaps for shark and ocean conservation topics in Hong Kong. BLOOM HK carries out research to provide a scientific foundation for future conservation work. In 2009, BLOOM commissioned the Social Sciences Research Centre of The University of Hong Kong (HKUSSRC) to carry out the survey on consumption habits of shark fins and shark-related products in Hong Kong. The study was one of the most comprehensive researches on the subject ever completed, wherein more than 1,000 interviews were conducted successfully. In 2014, this study was replicated to provide an update, and to offer a comparison of any changes that might have arisen in the 5 years. In both years, wedding banquets were consistently the occasion where shark fin soup is most frequently consumed (as compared to reunions, festivals, corporate events, etc.). Acceptance of not including shark fin soup in a wedding banquet rose from 78.4% in 2009 to 92% in 2014. “Environmental conservation” was the reason for cutting down on shark fin consumption for 81.1% of the respondents in 2014. This rose from the 56.8% in 2009. In 2014, over 70% of respondents were reportedly uncomfortable with eating an endangered fish, and 93.9% were unwilling to consume a threatened species. Over 90% showed support for the Hong Kong government’s decision to remove shark fin and bluefin tuna from official banquets. Over 90% agree that the Hong Kong government should do more to regulate the international shark-related trade. Tourism and casino-driven revenues are by far the greatest sources of income for the Macau Special Administrative Region. With Macau’s hotels industry growing increasingly extravagant to match tourists’ demands, Macau’s import of shark fins from Hong Kong has also risen. In 2013 and with the support of Humane Society International (HSI), BLOOM HK conducted a hotel survey in Macau to investigate the provision of shark fin dishes across the casino-hotels. The objective was to find 1) whether or not shark fin or shark fin-alternative dishes were offered on the menus of Macau’s major casino hotels and 2) whether a Seafood Procurement Policy was present for the corresponding casino-operators. Between 2007 and 2010, Macau’s shark fin-related imports from Hong Kong have doubled. According to UN FAO figures, Macau ranks 8th in the world in terms of shark fin volumes imported. Only 2 out of the 33 casino-hotels surveyed have removed shark fin from their menus completely, although 17 will provide shark fin-alternatives. 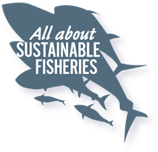 Within the survey period, almost 80% of the casino-hotels surveyed do not include any Seafood Procurement Policies or indicate consideration for sustainability in seafood sourcing practices in their Corporate Social Responsibility reports. While Hong Kong is one of the world’s greatest trade hub of shark fin handling over 50% of the global trade, there is currently very little understanding of what species are involved. Enforcement of CITES regulations (see: Shark Campaign) is hence made difficult, for we do not even know if any of the fins currently traded into and through Hong Kong belong to endangered and/or regulated species. The Stony Brook University is currently undergoing a retail market survey to understand the composition of shark species present in the fins sold in Hong Kong. By way of DNA analysis, shark fin-related products purchased from Sheung Wan and Sai Ying Pun, Hong Kong (the local go-to’s for shark fin and other dried seafood products) are randomly sampled and identified to species. BLOOM HK is one of the collaborating partners of this project. All items traded through Hong Kong are documented in the local government’s Census and Statistics Department (CSD) through a mandatory self-reporting system. Data for the volume, country of origin, country of consignment and destinations of shark fin products’ import into and re-export from Hong Kong is freely available for public view and use. BLOOM HK has been collecting this data from 1998 to present. With this data, Hong Kong’s local demand for shark fin and role as a global trading port can be derived through data analysis. Furthermore, under comparison with the UN FAO data, which documents volumes of shark fin exported to Hong Kong from exporting countries, discrepancies indicating misreporting can be found. The analysis is not currently published on its own, but is included in the report below. This research puts together shark fin trade data collected from Hong Kong CSD for the years 1998 to 2013 to formulate suggestions for the Hong Kong government to more efficiently carry out monitoring and management of the trade. Within the surveyed period, 130 countries/territories around the world were recorded to have exported shark fin to Hong Kong to feed the market locally in Hong Kong and regionally among some Asian countries. Today, Spain, Taiwan, Indonesia, UAE, Singapore and Japan, known as the “Big Five Plus Japan”, make up over 50% of all of Hong Kong’s shark fin imports. Comparison of Hong Kong’s import data with the exporting countries/territories’ UN FAO declarations has indicated that some countries/territories are consistently underreporting shark fin exports. At least 9 specific recommendations for policy and management actions are made in the report. Sharks are not the only chondrichthyans facing global population declines and extinction risks. Many shark-like batoids, including sawfishes, wedgefishes, giant guitarfishes and guitarfishes are also suffering from overexploitation. Fins of some shark-like batoids can be found sold as shark fins under the category name of “Qun chi” in Hong Kong and Guangzhou, China markets, and are reputable for quality and texture, placing fishing pressures on their dwindling populations. This report serves to fill a knowledge gap about the availability of shark-like batoid fins in Hong Kong SAR and Guangzhou, China’s retail markets through market surveys. Results confirmed that in both markets, shark-like batoid fins are sold at least under the category name of “Qun chi“, and include several species of shark-like batoids in the international trade. The study proves that these fins have a clear role in Hong Kong and mainland China’s markets, and it is recommended that the trade needs to be better understood and managed. In 2012, BLOOM HK published a co-authored paper to about Hong Kong’s role in the global sea cucumbers (bêche-de-mer) trade. Sea cucumber is one of the many “luxury seafoods” loved by Hong Kong people, and the demand has placed heavy fishing pressures on sea cucumber fisheries worldwide. It was found that, between 1996 and 2011 the number of countries supplying sea cucumbers to Hong Kong has been steadily increasing. While Mainland China was traditionally the most important destination country for Hong Kong’s sea cucumber re-exports, it appears that Vietnam will soon overtake China as the greatest receiver in terms of volume. Suggestions were made to facilitate more efficient monitoring and management work by the local government. It is also recommended that the rising importance of Vietnam be investigated in future research. In 2014-2015, BLOOM HK took part in a research study to understand how airlines and other transportation modes associated with the seafood trade in Hong Kong may work to achieve greater sustainability with one of the city’s greatest seafood love: live reef food fishes (LRFF). As LRFF is often exported and not consumed within source countries, traders of LRFF rely heavily on the availability of secure transportation modes, especially airlines, to deliver their live fish from source to destination markets. Carrier companies are hence in a position to greatly enhance Hong Kong’s capacity to monior and regulate the LRFFT — in particular, to prevent illegal trading activities. As one of the collaborators of this project, BLOOM HK interviewed the traders of some of the Asia Pacific region’s greatest LRFF exporters, including Sabah, Malaysia, and Manila and Palawan of the Philippines. The study is commissioned by the Hong Kong Airport Authority, and spearheaded by the ADM Capital Foundation. The persisting demand for manta and mobula ray gill plates is increasingly raising concerns for the species’ survival and sustainability. Mobulid gill plates are used as Traditional Chinese Medicine or as tonics, and can be found in just a few key Asian markets, including Hong Kong and Guangzhou among others. While Guangzhou is already known to be a key trade, retail and consumer hub of Mobulid gill plates, the role of Hong Kong has not yet been given focus in existing research. Collaborating with BLOOM Association Hong Kong, Mr. HAU Cheuk Yu (undergraduate Final Year Project, Ecology and Biodiversity, School of Biological Sciences of The University of Hong Kong) embarked on a snapshot study on the role of Hong Kong in the trade and consumption of gill plates, as compared to that of Guangzhou. The results show that Hong Kong is no less important of a market for gill plates, and that it’s role may previously have been undermined. In view of the imminent 17th Meeting of the Conference of the Parties, for the Convention on International Trade in Endangered Species of wild Fauna and Flora (CITES CoP17), results of the study has been put together into a report downloadable below. Hong Kong has a reef fish diversity richer than the entire Caribbean Sea. However, very little of this diversity is understood and a system to regularly update and document the reef fish species found in Hong Kong waters was found wanting. In 2014, BLOOM HK launched an underwater reef fish survey with the objective of providing baseline data of exactly what species of marine fish are found in Hong Kong’s reefs. The initial surveys spanning over 2014 to 2016 were funded by Ocean Park Conservation Foundation Hong Kong (OPCFHK), and in this period 4 new species to Hong Kong were observed and documented. Through the surveys, the pressing problem of alien species introduction was also evidenced by sightings of the artificial, hybrid species: the Sabah grouper. With support of The Swire Group Charitable Trust, the survey will continue at least up to 2020 to continue to bring our inventory of reef fish species up to date. The data will be published on a web-based portal (coming soon), inviting the submission of reef fish photographs taken in Hong Kong waters by recreational divers. In 2015, BLOOM HK collaborated with the State Key Laboratory in Marine Pollution of the City University of Hong Kong to conduct a study of reef fishes in the Daya Bay area. Such studies were found to be very limited in Daya Bay, an area continuously affected by fishing pressures, coastal development and pollution. The purpose of this study was hence to provide updated baseline information for reef fishes in the area, by conducted underwater visual census. A total of 12 sites were surveyed across 6 survey days, recording a total of 92 reef fish species despite low underwater visibility. Several of the recorded species are also considered commercially important. It is hoped that more in-depth research and long-term monitoring can be established in the area. In 2013, BLOOM HK’s Marine Programme Director (Stan Shea) co-authored in a bilingual photo guide on reef fish species found in Hong Kong waters. The “Hong Kong Reef Fish Photo Guide” features profiles of 200+ species, and photographs collected over more than 7 years of underwater observation. The book is now available at various local dive shops.